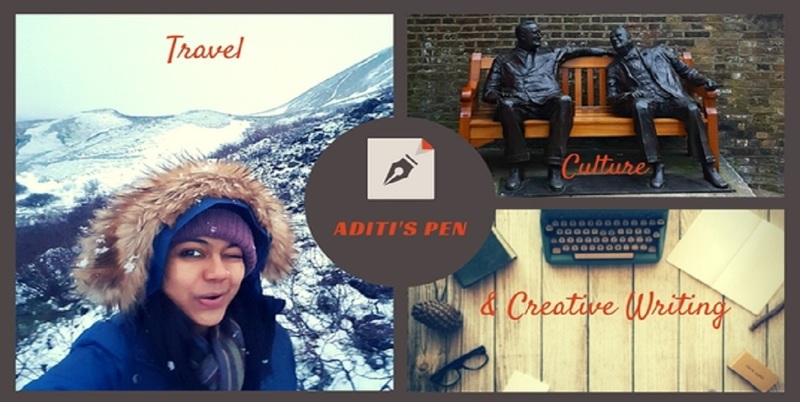 Do you feel writing is an Art? I believe it is as much of an Art as Dancing, Painting or Photography. We paint a picture for our readers, we use our words to convey or express what we feel. And blogging is such an easy platform to share our musings with the world. I am thankful for this virtual stage where we can connect with like-minded people and be appreciated for our writing. Now doesn't that feel good? Being acknowledged...Being appreciated!! When our post gets voted on Indivine or we get a new comment or a new follower we jump with glee!! So we all know what that feels like....Right? So dear bloggers, let's together celebrate Art this coming August. Mark your dates and join me, to encourage, support and appreciate our fellow Artist friends this 5th - 11th August. 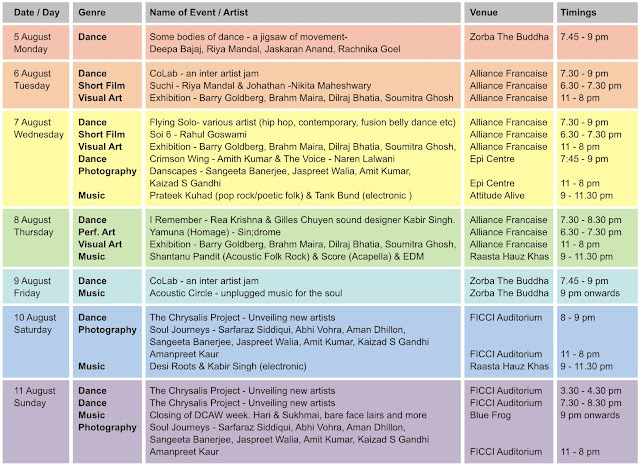 Friends of Art (FOA), an NGO charitable trust, brings in our city the Delhi Contemporary Arts Week (DCAW), a week that will showcase the talents of upcoming artists in the fields of Dance, Music, Sound. Visual Arts, Photography, Installations and Short Films. This is the brain child of Shohini Dutta, The Director of DCAW, also the founder of FOA and the Assistant Artistic Director of The Danceworx Delhi. 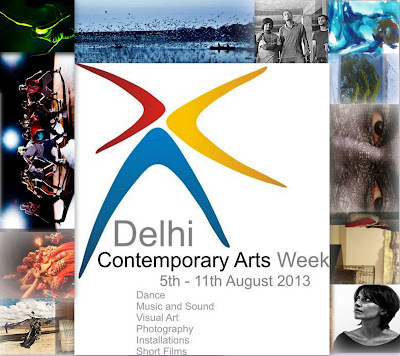 In her words, "The Delhi contemporary Arts week that I envision will serve the future Of the 'New India' that is around us taking shape in the current , in the 'contemporary' realities that now emerge with people and artist exploring beyond the fascination of beauty and form and delving into Organic realities and searching for connections with themselves and beyond. " With this initiative of FOA, I hope that Contemporary Arts will be recognized and appreciated even by the general masses in our country. In India, being an Artist is not a cakewalk, and only a few aspire to take it up as a full time career. As an Artist, you have to fight the traditional institutions, you have to battle your inner insecurities, break your defense mechanisms, push yourself every second to make it in the creative industry. Yes there is a struggle involved, but what you gain from Arts is so much more!! From my own personal experience, I can say that it has helped me become a better, a more developed person. With the DCAW, where a multitude of artists will come together and share their creative expression, we will get the opportunity to witness something truly amazing!! I'm pretty excited about this event. For sure, it is going to be a treat to our senses. Come to witness some magnificent work by fellow artists, Come to celebrate their vision, Come to get inspired, Come to embrace this love for Arts!! 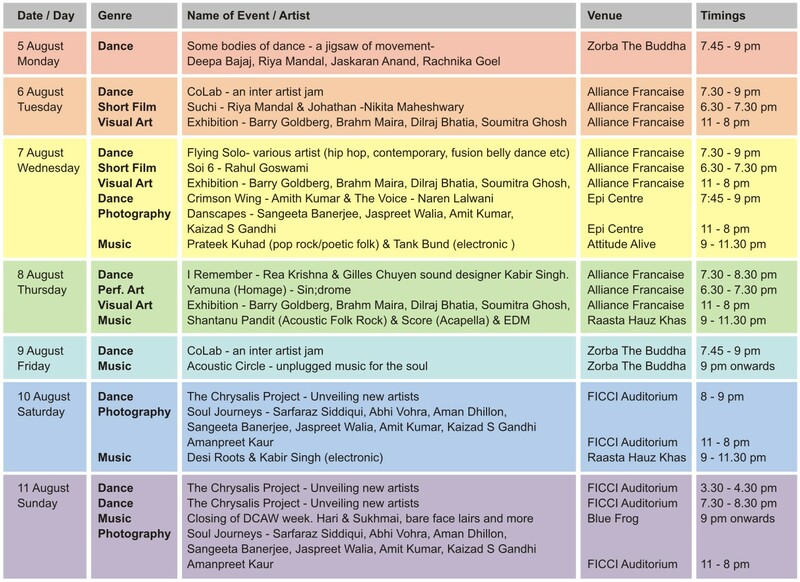 The event is happening across 14 venues showcasing over 40 artists, scheduled in the evenings so that even office goers like me can enjoy these creative expressions. You can purchase your donor passes at Mydala or at Bookmyshow. The DCAW provides a direct link to book the passes on their website too (click here). I wish the efforts of FOA and DCAW bring about a Change...A change that will be here to stay. A change that will help artist from various backgrounds come together and help create real social value!! Hey Harsha wish you could attend this! U based in Mumbai?? Thanks :) will appreciate if people come n watch the work!! And I am not a participant, just a humble supporter of the arts.